I’m what’s known as a Bowiephile. It’s a term used to describe a fanatical David Bowie fan. I once read that the only fans that match the dedication of Bowie fans are the followers of Elvis. I think I agree with that. The first blog I was going to write about the Great Dame David, The Grand Poobah of alternative rock, soul, electronic, folk, dance, disco…etc…etc…etc was going to be about my journey as a fan. But then a more fun idea came to me. There is no way everyone will agree with the points raised here. Not all of it is meant to be taken seriously. Listen to me, don’t listen to me. Talk to me, don’t talk to me. Dance with me, don’t dance with me. No. …err…Beep Beep! OK maybe not the greatest of claims. 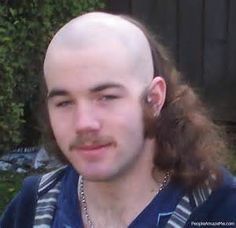 It is possibly the most derided haircut in history. But here’s the point, not only was he the visionary of this two haircuts for the price of one style…he’s the only person in history that it actually suited. Not only that, but after a series of failed attempts at stardom, once he did change the hair fame came like a juggernaut. Which makes that particular haircut probably the most successful in Rock and Roll history. Others have tried and failed miserably. 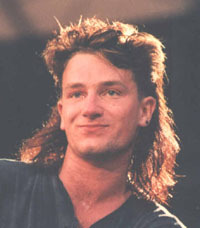 See Bono, most of the planet in the 1980s. He wrote, co-wrote and produced co-produced 4 of the most influential albums of all time IN ONE YEAR! 1977 is a big year in modern music history. While punk was shaking the rock establishment tree and finishing off the hippies Bowie managed to sidestep the whole commotion by retreating to Berlin and putting in a fairly decent effort to get off the fame juggernaut that had now ploughed into a snow drift sized pile of cocaine. I’m cheating slightly with this. I think the creative period that these four albums were put together took place over 14 months. But why get pedantic when you realise what albums they were. Low, Heroes for himself and Iggy Pops The Idiot and Lust for Life. Let’s just list some of the songs from those sessions…Sound and Vision, Be My Wife, Heroes, Sons of the Silent Age, China Girl, Lust For Life, The Passenger, Night Clubbing…Several of these have went on to iconic status. Heroes is remarkable in that not only being one of his greatest anthems but when he does it live at times he’s improved on the original recording. I’ve posted such an example below. Interesting fact. The brilliant riff on Lust for Life is often credited to being lifted from The Supremes You Can’t Hurry Love. And drummer Hunt Sales does seem to get some inspiration from this. However the real inspiration came from the Armed Forces Network, station ident (They both watched this lot in Germany. In particular Starsky and Hutch) which was a radio conning tower (like the old RKO logo) giving off a staccato signal: BEE.P-beep-beep, BEEP-BEEP-be-BEEP. One night, watching TV with Pop in his apartment, Bowie took his son Duncan’s ukulele and played the AFN riff on it. The two started building up a song. “Call this one ‘Lust for Life’,” Bowie said. He has continuously left potential big hits on his albums unreleased as singles. As we well know when Bowie is on form he not only creates phenomenal albums he’s also an extremely adept hit writer. In fact so good is he at writing such hits that often throughout his career including right up to the present day he doesn’t even bother releasing them. It’s been said he does so for the simple savvy marketing device of getting folk to invest in the LP. It’s also been said to drive record company bosses to distraction. I’ve put a list of songs I believe could have been hits. No way anyone will agree. But I’ve also posted a couple to help prove my point. Not just a great solo artist but he’s knocked out some formidable collaborations. From producing Iggy to Lou Reeds Iconic Transformer LP. Sits down with John Lennon for 5 minutes and knocks out his first American number 1 in the shape of the song Fame. Does a Christmas song with BING CROSBY. No way should it work…but it does (Incidentally a lot of people believe the Peace On Earth part of the song to be based on a traditional arrangement. It’s not, it was written especially for the track.) Get’s together with Queen and knocks out one of the best songs either of them ever made, which is not bad considering their respective back catalogues. Actually gave us all a not bad laugh with Mick Jagger by sending themselves up. All the Eno stuff. Has also appeared alongside Arcade Fire, Marc Bollan, Goldie, Mott The Hoople, Lulu, Adrien Belew, Tina Turner, Placebo and err…Scarlett Johansson. He’s from outer space AND the future. Space Oddity is now over 45 years old and it still sounds like it could have been recorded next week. From its twin vocal approach to the human condition capturing words of “Planet earth is blue and there’s nothing I can do.” Which is as relevant today as it was in yesteryear. And your heart still soars at the “Tell my wife I love her very much…SHE KNOWS” bit every time. 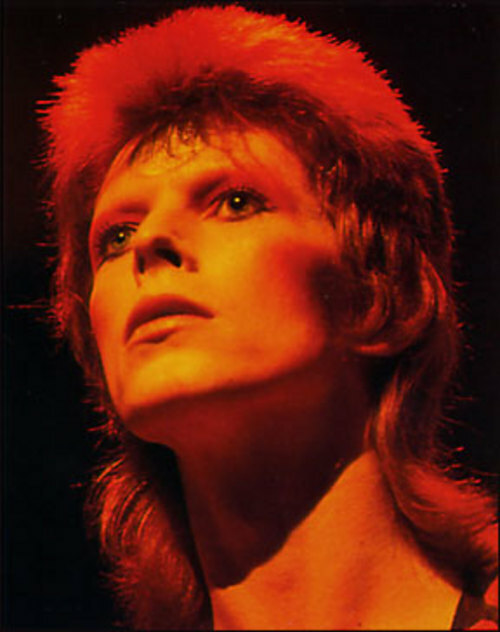 Not only were we introduced to him as a man from outer space, his first band proper were from Mars and he was a man who fell to earth. All that aside he is a major fan of science fiction which has gone on to influence his son Duncan Jones being one of the hottest new sci-fi/fantasy film directors currently in Hollywood. Even in his later less innovative years he was the first artist ever to release a song only available on digital download. At the time they said it would never catch on. If I was him I’d be after a percentage from I-Tunes. But the surprise biggie was his last album The Next Day (still got one eye on tomorrow.) It was as fresh and as relevant as anything from his golden era. 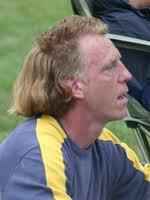 It also got him his mystique back which is pretty impressive after 50 odd years at the game. He has a new single Blackstar out on November the 20th and an album of the same name will be released on his birthday in January. For the first time in a quite a while that’s a really exciting prospect. Next Next post: Stand up comedy. Set 3.